Medway is region of southeast England and is part of Kent. With a population of approximately 275,000 and great access to London and the southeast coast, there’s a strong property market in the area. At My Home Move Conveyancing we’ve been developing our knowledge of local markets like Medway’s since 2001, allowing us to bring a specialist, fixed fee conveyancing service to our clients in the region. When buying or selling property in Medway, you need to instruct property lawyers to carry out the legal work on your behalf. 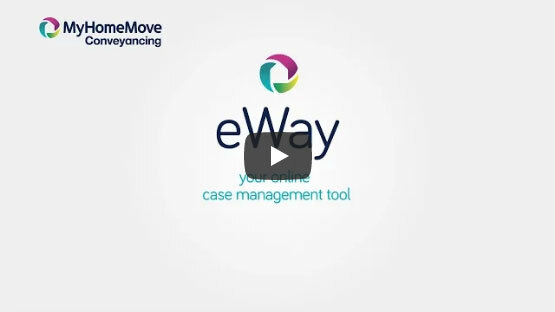 My Home Move Conveyancing offers our clients in Medway an award winning level of customer service, innovative use of technology and intimate knowledge of the local market. There are no hidden costs with our professional, friendly conveyancing service, which helps us to build trust with our customers. Choose us as your Medway conveyancers, and if you don’t end up completing, you won’t have to pay us a thing thanks to our ‘no completion – no fee’ policy. We’ll assign you a dedicated conveyancer who’ll take care of all aspects of your case from start to finish. You’ll have a consistent point of contact who’s prepared to go the extra mile for you, as well as regular progress updates and online access to your account. At My Home Move Conveyancing we can provide our conveyancing services in Medway to help buy a variety of homes across the area, including in places such as Gillingham, Chatham, Hempstead and Rochester. The average house price in Medway is £232,861, while the overall average sale price during the past 12 months was £240,459. Most sales involved terraced properties, which went for an average of £209,121, while semis fetched £268,788 and detached houses £386,840. There’s plenty of history across the local area, from the Roman founding of Rochester to the Royal Navy opening Chatham Dockyard in the 16th century. Medway was formed as a unitary authority in the 20th century, administratively independent from Kent County Council yet still part of the county in a ceremonial manner. The region is a popular place to live thanks to its proximity to London, and there are plenty of modern amenities to cater for residents. Medway has a two-tiered education system with entry to the region’s grammar schools based on 11-plus results. Local primary schools include Byron and Barnsole in Gillingham, Cedar Primary in Strood, High Halstow Primary in Rochester and Miers Court in Rainham. Non-selective secondary options include Gillingham’s Brompton Academy, Strood Academy and the Victory Academy in Chatham, while Rochester Grammar, Fort Pitt Grammar and Chatham’s grammar schools for boys and girls are among the selective choices. For further education, try MidKent College. There are seven train stations across Medway, including Chatham station, Rochester station, Strood station and Gillingham station. From the latter it takes around an hour to get to central London stations like Victoria and Cannon Street, and it’s a similar journey from Chatham and Rochester. The M2 motorway passes through Medway, heading east towards the southeast coast and spots such as Canterbury, Margate and Dover. Some parts of the region collect parish precepts. Figures below exclude these.